Note: You can filter the report by classroom, student name, or activity pack that you have assigned. You can also download the report and print it for your use. 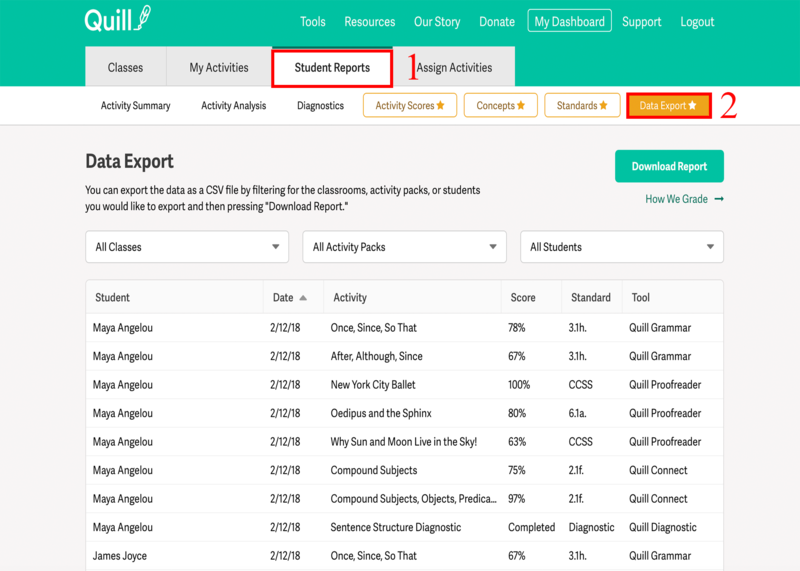 The Data Export Report provides the activity name and its associated Common Core Standard, along with the student's score and the date he or she completed the activity.